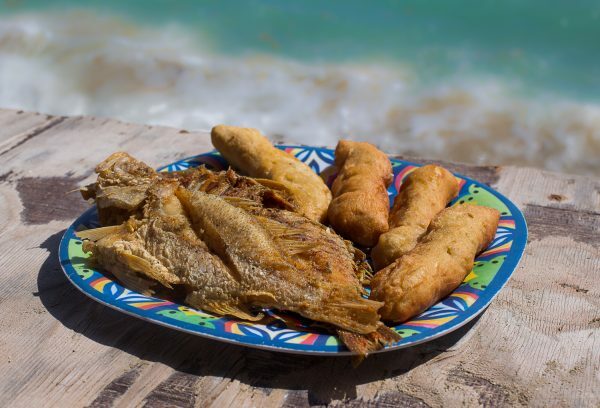 Enjoy Delicious Cook To Order Fish Prepared by One of Jamaica’s Finest Chefs, Aunt May! Only $1,260 to enjoy a mouth-watering meal by Aunt May’s at Hellshire Beach. 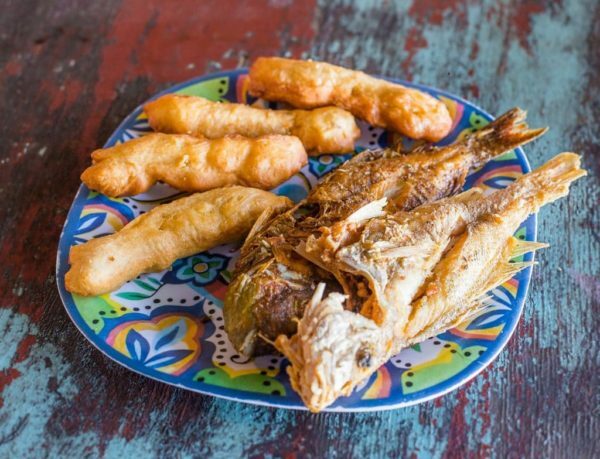 This meal is inclusive of two 1/2 pound fish or a 1 pound fried fish, served with 4 festivals. Enjoy Jamaican Sea Food at its Finest at Aunt May’s, Hellshire! 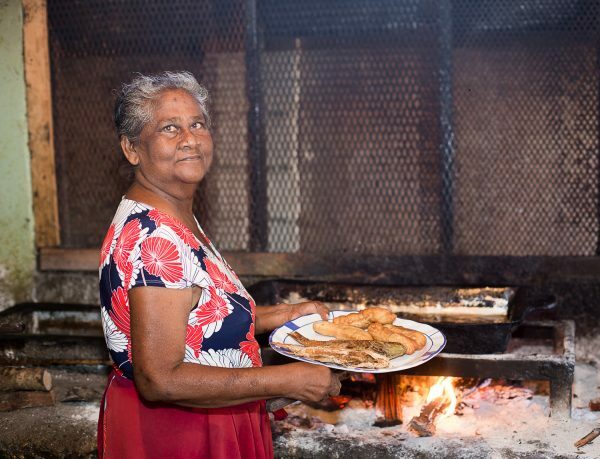 Known to her customers as “Aunt May”, May Byrou is a Jamaican of Indian descent who has been cooking at Hellshire Beach since she was 17 years old, serving her authentic flavor for the last 40 years. She learned her Hellshire cooking style from her mother-in-law. Aunt May’s Festival Mix embodies these teachings along with her experience as a young girl growing up in a Jamaican Indian household. Aunt May started from very humble beginnings, cooking at the seaside in Hellshire Beach in a little open air shack (4 sticks covered by a piece of canvas) where she served succulent Festivals, fish and lobster. She has grown this business into a major operation with a loyal following, adding more fans each day as word spreads about the consistently great taste of her fresh, cooked-to-order seafood and Festivals. Today, this humble teenager’s little shack by the sea is now a brand, offering Aunt May’s Festival Mix, her tasty authentic recipe in a ready-mix package that you can make at home. Aunt May has become famous around the world, as Jamaicans who have enjoyed her cooking over the years have shared their delight with friends and visitors. 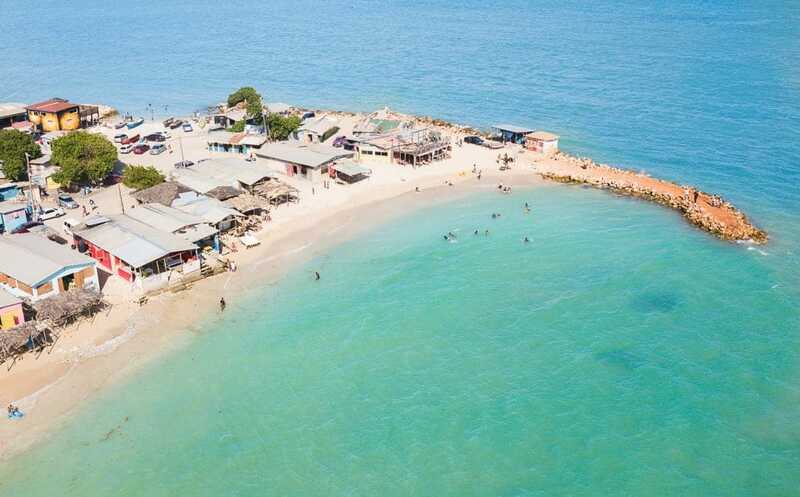 The Hellshire Beach experience is listed among the “MUST DO’s when visiting Jamaica”, and Aunt May’s is the number 1 choice. Her Festival is the perfect side dish served with fresh fish and lobster caught daily at Hellshire Beach. 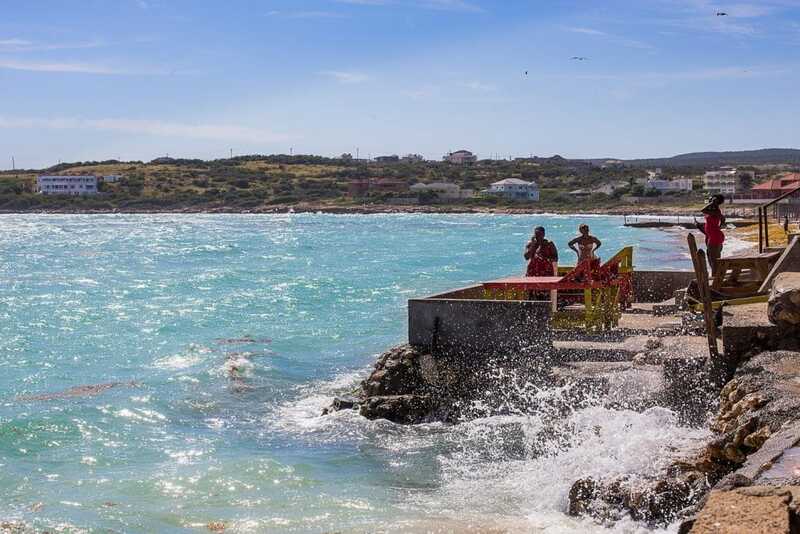 Caribbean Journal’s “Making the Trip to Jamaica’s Hellshire Beach” by Chef Nigel Spence, Food and Wine magazine’s “Real Flavor Of Jamaica” article by Chef Bradford Thompson, and many more great testimonies. 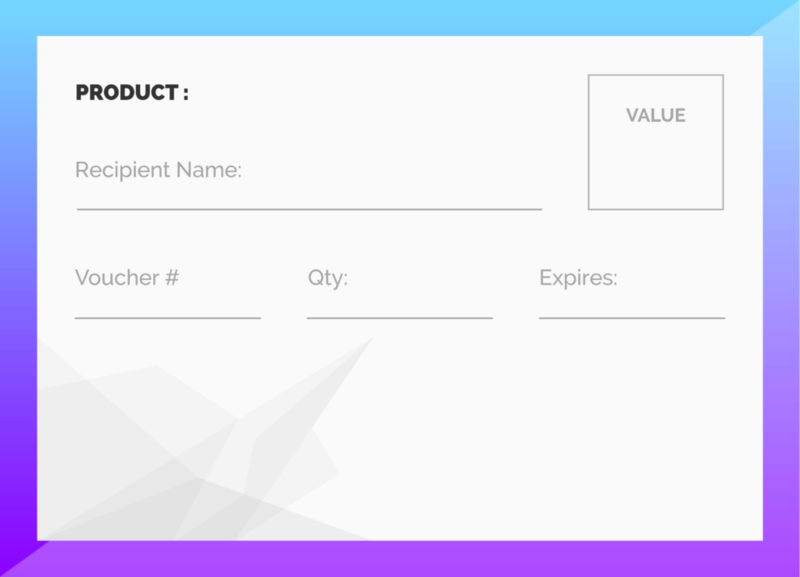 Promotional voucher expires March 22, 2019. 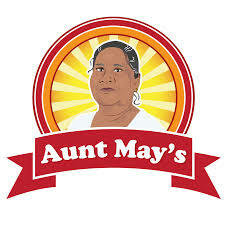 Redeem only at Aunt May’s on Tuedays, Thursdays, Saturdays and Sundays from 10:00 am – 5:30 pm. We are located at Hellshire Beach, Portmore. Please call (876) 880-0499 for further information and to make a reservation. All Taxes Included. Print your Brawta Living voucher or show your coupon code on your smart phone. Cannot be combined with any other offer or promotion. Merchant is solely responsible to purchasers for the care and quality of the advertised goods and services. Aunt May's Hellshire Beach experience is listed among the “MUST DO’s when visiting Jamaica”, and Aunt May’s is the number 1 choice. 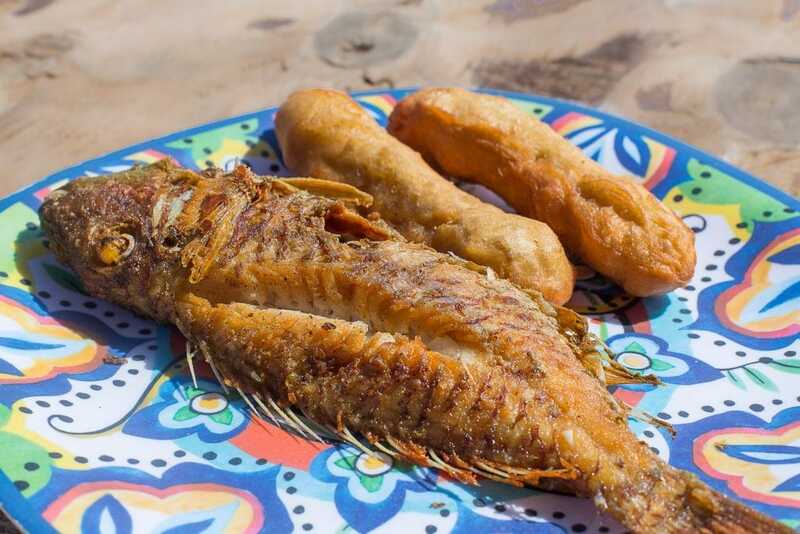 Her Festival is the perfect side dish served with fresh fish and lobster caught daily at Hellshire Beach. It's also a great appetizer. The ‘Aunt May flavor’ has been featured on Travel Channel’s “Rev Runs Around The World”, Two Sisters and a Meal Food Blog – “Exploring Jamaica Bite by Bite”, Caribbean Journal’s “Making the Trip to Jamaica’s Hellshire Beach” by Chef Nigel Spence, Food and Wine magazine’s “Real Flavor Of Jamaica” article by Chef Bradford Thompson.